Feb 1-Feb 3, 2018 : Learning is a continuous process. 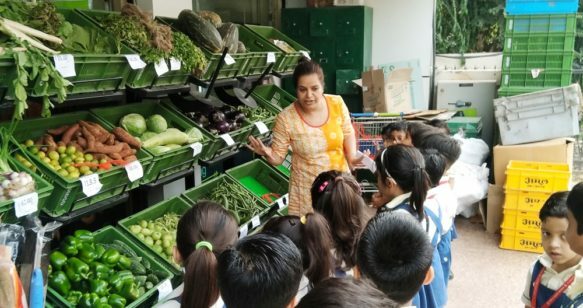 We, at DLF Public School, believe in giving our learners opportunities to experience life beyond the classroom. Excursions provide children with first hand experiences as they observe social systems, collaborate with one another, take on different leadership roles, learn to self-organize and be independent and communicate with one another and people around them in a social environment. 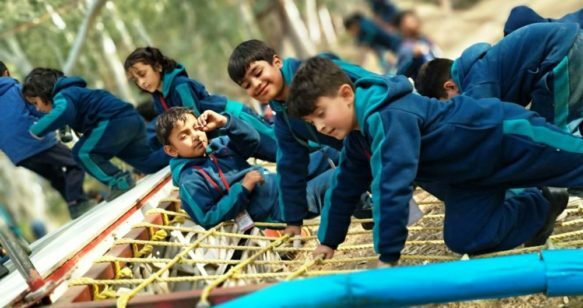 Over 1000 Delfites of classes Nursery to V had unlimited fun during an excursion to the biggest adventure park E-O-D, Mayur Vihar. They participated in various adventure activities like Bridge crossing, Net Crossing, Net crawl, Jungle House, Archery, Magic Show and many more. By blending reality with entertainment, the trip provided an authentic and powerful developmental experience, preparing kids to understand and manage the world. Catch them in action! Nov 21-22, 2017 : The ambit of education and spirit of togetherness is to develop the inherent capabilities of a child in a friendly and social environment and inculcate in them a ‘You can do it’ attitude. Keeping this in mind the school organized a 2 day tour to JAIPUR for class V from November 21 to November 22, 2017. It was a wonderful opportunity to share childhood memories and also a learning opportunity for students to visit greatest historical places like City Place & Amber Fort, Birla Mandir. It was an enriching and the most memorable experience for the teachers as well as students. 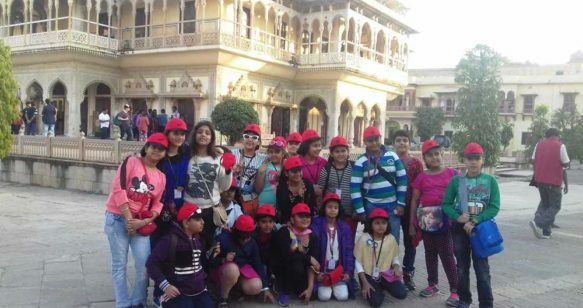 On Apr 19, 2017, Grade XII students went for an excursion to ‘Worlds of Wonder‘. 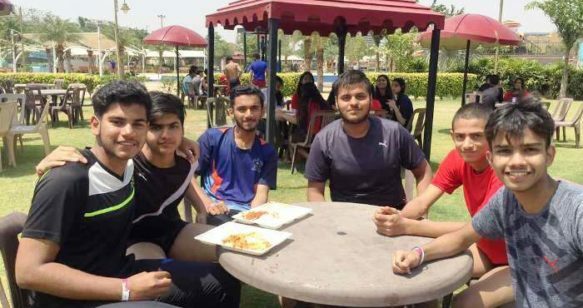 This trip was organised by the school as a token of appreciation for the students as they organised the most memorable farewell for the outgoing batch of 2016-17. The students enjoyed thoroughly throughout the day. It was a day full of Fun & Frolic for the teachers and the students amidst the Jolly World of Fantasy. Nov 21-22, 2017 : Grade VII Delfites visited the Indian Meteorological Department, Lodi Road to learn through a demonstrative interaction about the factors affecting climate, the process of recording weather forecasts and temperatures and its equipment, observation of meteorological movements . 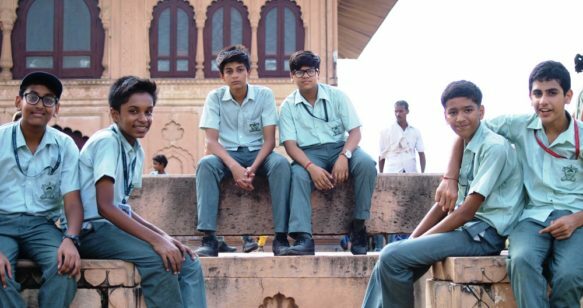 This August, on 21st, Delfites of Class IX – XI had an opportunity to experience learning beyond classroom when they went for one day Archaeological trip to the Deeg Palace (or the Jal Mahal) near Bharatpur, Rajasthan. At DLFPS, we believe in giving our learners opportunities to experience life beyond classroom. 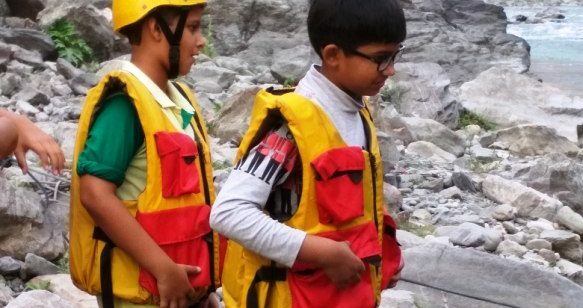 Recently, one such experiential learning opportunity was extended to the Delfites of class VII. 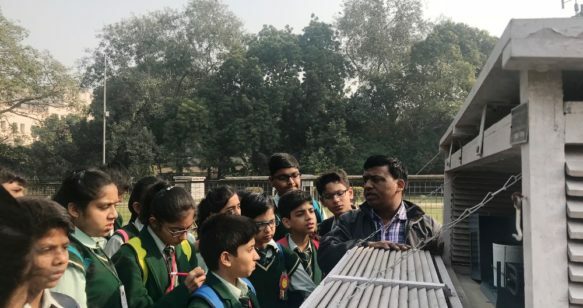 While the enthused Delfites explored the Persian Architectural style at Humanyun Tomb, they got acquainted with the working of Hydromet Observatory, National Weather Forecasting Centre, and National Satellite Meteorological Centre at the Indian Meteorological Department . An interactive Pre-Session to explore objectives and a Post-Session to discuss learning was also organized for them. 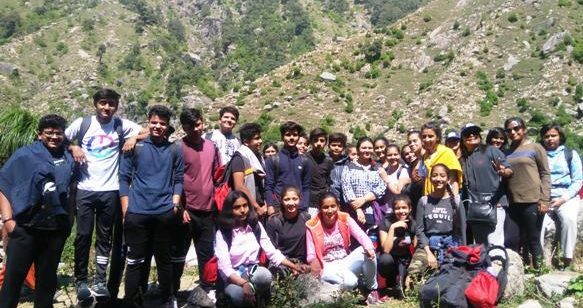 The school’s avowed philosophy of learning outside the classroom reached new heights as students of Vlasses IX to XI went on a 6-day ‘Kareri Lake Trek’ in Dharmashala, Himachal Pradesh. Apart from earning relief and respite from the searing heat of the Capital city, the 27 Delfites who undertook the trip along with two teachers enjoyed rejuvenation and illumination on several dimensions.